Ever wondered what happens to all those samples that are collected from you and your kids at every visit? Well, Alana and Katrina, from the Harrison Lab at the Walter and Eliza Hall Institute (WEHI) are intimately acquainted with them! They extract bacterial DNA from the swab, stool and milk samples and look at the microbiomes – the community of bacteria that live on and in everyone, at various body sites. 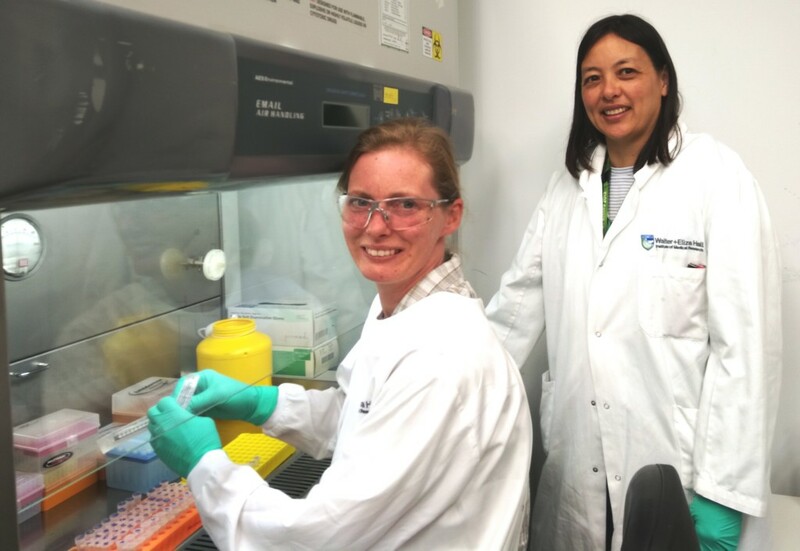 By studying the microbiomes of mothers and their children as they grow and develop, Alana and Katrina hope to gain insights into the contribution of the microbiome to health and disease, and it’s not all about what’s in the poo! All of the samples from the different body sites are important, as is the frequency of collection, as they allow for a more complete picture of the development of the microbiome over time. Alana and Katrina would like to thank all of the ENDIA participants for their amazing efforts in sample collection! The voluminous amount of samples makes their research possible!